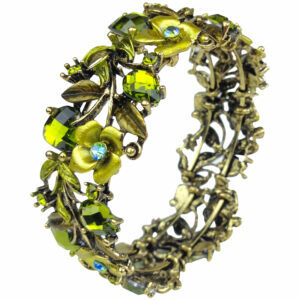 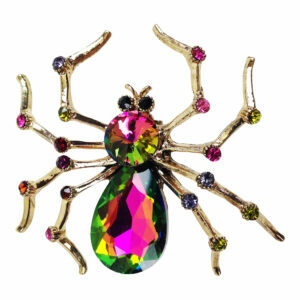 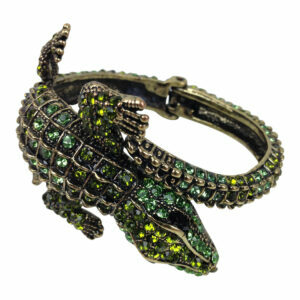 View cart “Green Crystal Cuff” has been added to your cart. 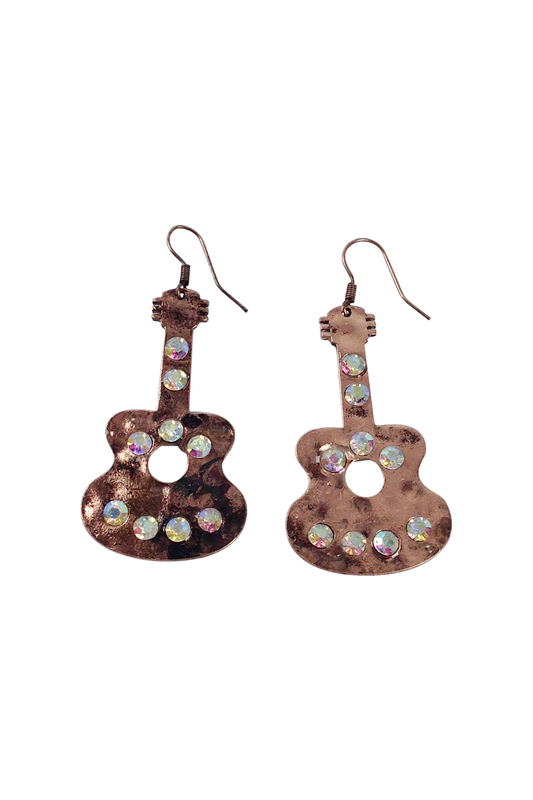 Shiny copper guitar earrings with aurora borealis crystals. 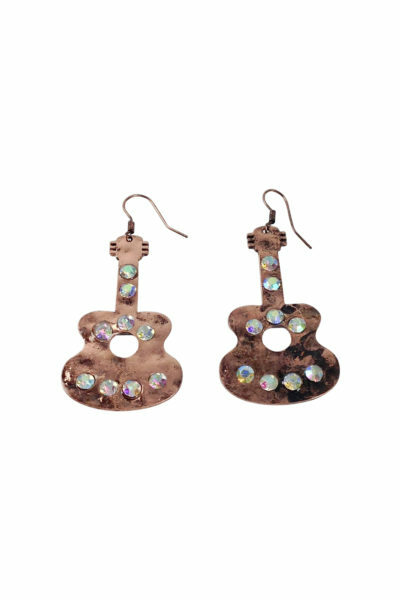 The metal wires are quality hypoallergenic surgical steel that are safe for sensitive ears.